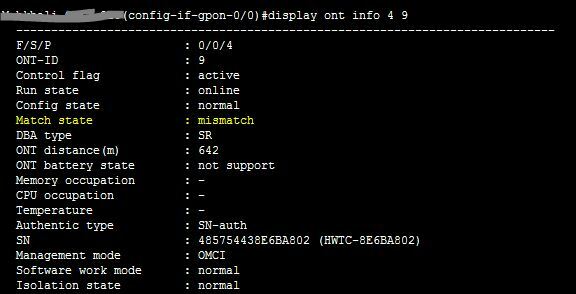 When you found Match State : mismatch in Huawei ONT by display ont info command, then which type step taken you ? Don’t worry i will show how to solved this problem………………. This types of problem occur if ONT port & pots should not configure properly in ont srvprofile. Suppose your ONT have 2 pots & 4 eth port, If you configure 4 pots & 4 eth port or 4 pots & 2 eth port, It is not match your ONT because your ONT have 2 pots & 4 eth port. So if you configure srvprofile properly with pots & eth port, Then your problem will be solved. Now i show you how to edit ont srvprofile & change mismatch pots & eth port. Now you see your problem is solved.